Francine Kay has performed throughout North America, Europe and Asia, at venues such as Carnegie Hall, Lincoln Center, The Phillips Collection, Salle Gaveau, Paris, the Dame Myra Hess Concerts, Chicago, and in cities such as Shanghai, Hong Kong, and London. She has been soloist with orchestras such as the Toronto Symphony, Princeton Symphony, New York West Side Chamber Orchestra, Sinfonia Toronto, among many others and she has performed at the Tanglewood, Banff, and Saratoga Festivals. Francine Kay made her New York debut at Carnegie Hall’s Weill Recital Hall as winner of the New York Pro Piano Competition. She has made critically acclaimed recordings on the Analekta and the Audio Ideas label and her performances are frequently broadcast on NPR, the BBC and the CBC. Ms. Kay received her Masters of Music as a scholarship student of The Juilliard School and she received the Doctor of Musical Arts from the State University of New York at Stony Brook. 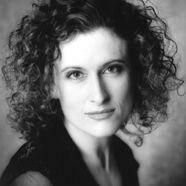 Francine Kay is currently a member of the Performance Faculty at Princeton University.